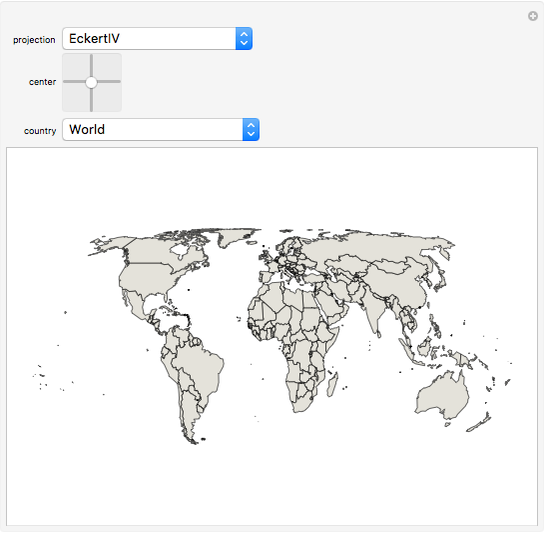 See how the world, as well as individual countries, are rendered with different map projections. 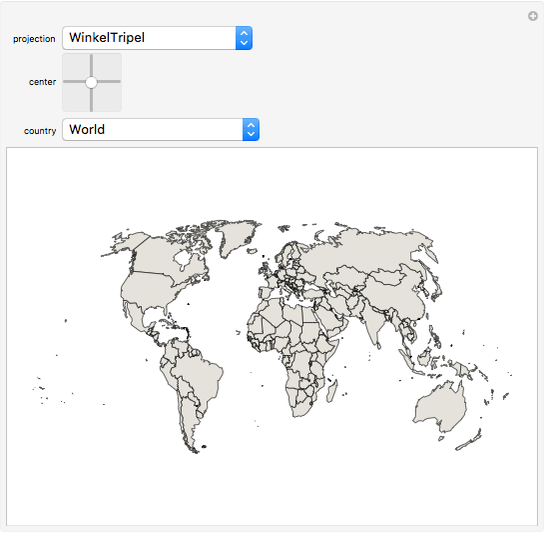 Each projection corresponds to a certain choice of how to "unwrap" the approximately spherical Earth onto a plane. 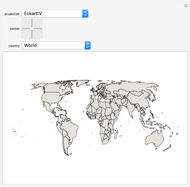 The "center" of the projection determines what point on the Earth will be drawn in the center of the image. 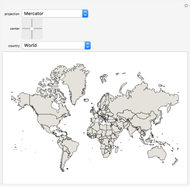 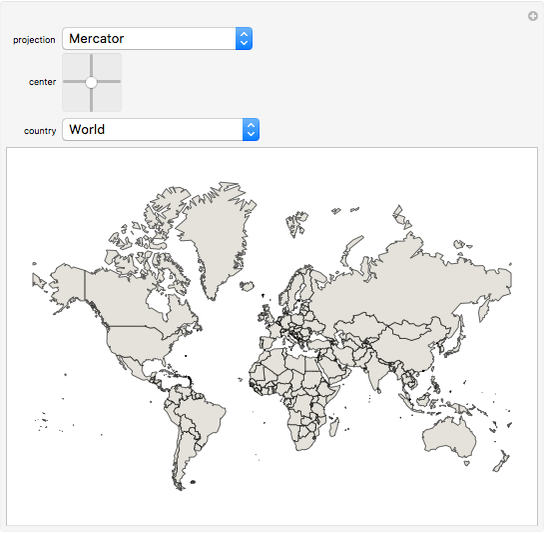 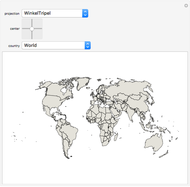 Stephen Wolfram "World Map Projections"